The only thing worse than a U.S. attack on Iran would be an Israeli one. When I said that it would be unacceptable for Iran to produce a nuclear weapon, I meant it. Over the past several months, it has become clear that neither engagement nor isolation and sanctions have slowed Iran’s determination to build a bomb. And recent, solid intelligence has confirmed that Iran may now be much closer to nuclear weapons capability than anyone believed possible. So tonight, I have authorized air strikes against several facilities integral to Iran’s nuclear ambitions. This is a decision I make with a heavy heart and a clear-eyed understanding of the risks involved. It’s not an easy scenario to envision. Senior military officials are said to have warned Obama about the risks of military action against Iran, and last week, Joint Chiefs of Staff Chairman Michael Mullen warned of the likely “destabilizing consequences” of an attack on Iran. The Brookings Institution’s Michael O’Hanlon and Bruce Reidel recently wrote that it’s “simply not credible that we would use force [against Iran] in the foreseeable future.” But in Washington of late, it’s been possible to detect a slight uptick in talk of the last resort. At an April 14 Senate Armed Services Committee hearing on Iran, the committee’s normally dovish chairman, Carl Levin, pressed the Pentagon’s under secretary for policy, Michele Flournoy, to assure him that the military option remains, as they say, “on the table.” She assured him that it does. At the same hearing, Joe Lieberman warned that “if sanctions do not work then we have to be prepared to use military force to stop the unacceptable from happening.” Sure, Lieberman’s a notorious hawk. But less-noted than Mullen’s warning about the effects of attacking Iran was his simultaneous argument that “Iran getting a nuclear weapon would [also] be incredibly destabilizing.” And sure enough, CNN recently reported that Mullen has told the military to update contingency plans for such an attack. If there is a renewed conversation in Washington about a possible military strike on Iran, it may be fueled by a leaked secret memo by Defense Secretary Robert Gates to the White House, which warned that the Obama team lacks clear plans for preventing Iran from becoming a nuclear power if sanctions don’t work, and for dealing with Iran if it does achieve a “breakout” capability just short of building an actual bomb. Only the most zealous of hawks openly advocate bombing Iran right now, before sanctions and sabotage have had ample time to work. That said, virtually no one welcomes seeing Mahmoud Ahmadinejad and his master, Grand Ayatollah Ali Khamenei, with the power to make a mushroom cloud. Perhaps as a result of this cognitive dissonance, there is a sentiment sometimes expressed that we might not need to consider bombing Iran—because, should diplomacy and sanctions fail, Israel will do the job for us. The Israelis bombed Saddam Hussein’s nuclear program at Osirak in 1981, after all, and also flattened a nascent Syrian nuclear project in late 2007. Maybe they can do it again—and in a way that allows Obama to claim that America played no role. (That’s exactly what some people thought Joe Biden was hinting at last summer when the vice president answered a question about an Israeli attack by saying that the United States “cannot dictate to another sovereign nation what they can and cannot do.”) As the Wall Street Journal’s Gerald Seib reported last week, citing “informed sources,” the United States has been pressuring China to support sanctions with the following appeal: "Look, you'd better cooperate on sanctions, because if we don't do something, Netanyahu is just crazy enough to attack Iran." Unfortunately, such an outcome would be the worst of all worlds. Obviously, a diplomatic solution to Iran’s nuclear march would be vastly preferable to a military one. And even if, as seems likely, tough international sanctions are either unattainable or fail to change Iran’s course, it may well be that air strikes aren’t worth the potentially terrible consequences. Yet if someone is going to bomb Iran, it shouldn’t be Israel. It should be America. The main reason is simple: America is in a far better position to cripple Iran’s nuclear program. Consider the analysis of a possible Israeli attack on Iran’s nuclear facilities published last year by Abdullah Toukan and Anthony Cordesman of the Center for Strategic and International Studies. The authors imagined a scenario where Israeli jets flew through southern Turkish airspace and then cut across Iraq’s northern tip to strike several facilities within Iran. Toukan and Cordesman were not optimistic about the results. “[I]t would be complex and high risk in the operational level and would lack any assurances of a high mission success rate,” they concluded. Israel would face an array of problems, they argue, from the limited range of its aircraft—requiring multiple refuelings—to the limited ability of its warheads to penetrate Iran’s deeply buried nuclear facilities. By contrast, last month Toukan and Cordesman released a similar report, this one examining a possible American attack on Iran. Their assessment was far more bullish. Such an attack would involve U.S. B-2 stealth bombers based in Diego Garcia. 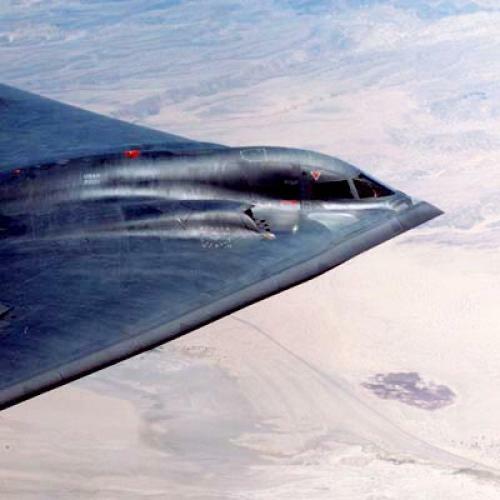 The B-2 has exponentially longer range than Israel’s F-15 and F-16 fighter-bombers. Conveniently, last summer the B-2 completed an upgrade allowing it to carry the GPS-guided 5,300-pound Massive Ordinance Penetrator bomb. And the bomber’s stealth nature will make it far less vulnerable to Iran’s air-defense system than the Israeli Air Force’s traditional jets. As Cordesman and Toukan conclude, the U.S. is “the only country that can launch a successful Military Solution." Chuck Wald, a retired four-star U.S. Air Force General who worked on a Bipartisan Policy Center task force on Iran, argued in a Wall Street Journal op-ed last summer that the U.S. military option is “a technically feasible and credible option.” Perhaps most significantly, even Joint Chiefs Chairman Mullen, who has often warned of the possible grave consequences of hitting Iran, conceded last weekend that a U.S. attack would “go a long way” toward setting back (though not eliminating) Iran’s nuclear program. Unintended consequences might also drag America into a fight that someone else started. Consider an Iran war game conducted in December by the Brookings Institution which imagined a unilateral Israeli attack on Iran. Things got nasty fast. Iran unleashed a slew of attacks against Israel, including launching ballistic missiles at Israel’s air bases and its Dimona nuclear facility. Hezbollah and Hamas began new rocket campaigns, drawing Israel back into Lebanon. And Iran began a campaign of international terrorism in Europe designed to undermine Western support for Israel. The game’s American team hoped to stay on the sidelines. But because Iran understood this, Tehran overreached, launching attacks on oil facilities in Saudi Arabia, whom Iran’s leaders perceived as having supported the strike. (The game’s Israeli jets had crossed Saudi airspace.) When Iran began to mine the Strait of Hormuz, a key choke point for the global oil trade, it crossed a U.S. “red line.” The game ended with the United States “massively” reinforcing its forces in the region and the prospect of a substantial conventional war between the United States and Iran. That may be a nearly worst-case scenario, and it is possible that the United States could avoid clashing with Iran in the wake of an Israeli strike. (Tehran might tread more carefully than imagined in this war game, understanding that a fight with Israel alone would bring more international support and less military risk.) At a minimum, however, since we can’t just walk away from the Middle East—our stake in Iraq’s future, alliance with Israel, and dependence on Gulf oil, among other things, simply won’t allow us —any new problems there will be our problems as well. None of this means that America should attack Iran. After all, virtually no one thinks that even an American strike can end Tehran’s nuclear program. (Among other things, as Cordesman concedes, we may not have good enough intelligence to know where still-hidden facilities may lie.) Instead we could set back the Iranians and buy a few years’ time—time in which a more moderate government might assume power, or in which the West might convince Iran and other watchful nuclear aspirants that the benefits of going nuclear are outweighed by the diplomatic (and military) punishment it entails. That would be a massive gamble, however. And everyone knows how America’s last big gamble in the region turned out. But if Barack Obama really believes that an Iranian bomb is unacceptable, and that only the use of force can prevent it, then he needs to face the grim truth that this is a burden for America to shoulder—and resist the temptation to let someone else handle the grim job for us.